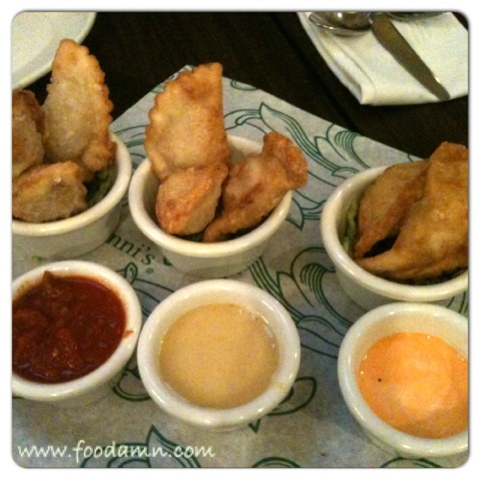 First stop, the appetizer - Italian pockets (PhP350 for 9 mini servings) it's the Philippines version of empanada. But here the mini pockets has three sauce to choose from: salsa, zesty butter and mayonnaise-based. The pockets are made up of chicken and shrimp, with mushroom, bacon, tuna and spinach wrapped in special dough and crisp fried. They taste good, I actually thought the family won't like it. Hence, the serving went wild. 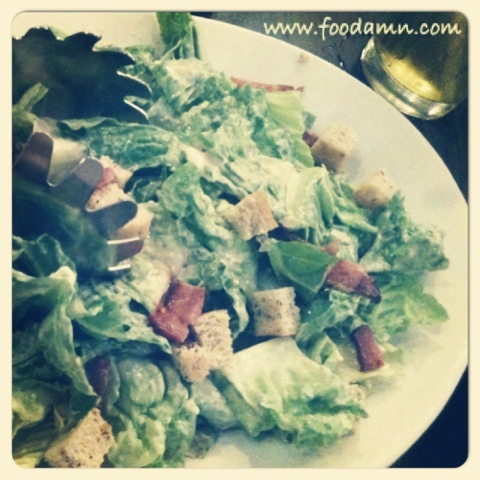 Next stop the greens, plain and simple Caesar salad, my companion for Four Cheese pizza. 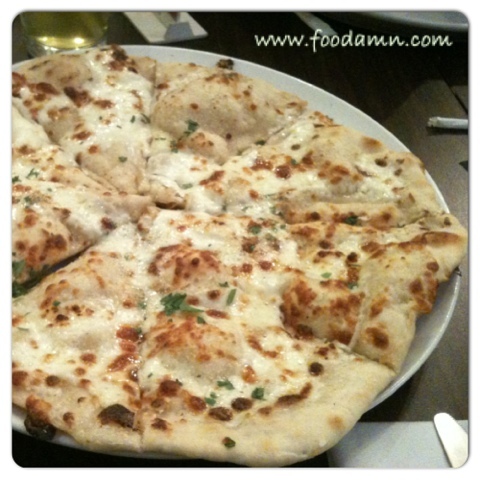 Quattro Formaggio (PhP550) or four cheese is a vegetarian pizza and is one of Italliani's favorites. Four Italian cheeses: Gorgonzola, goat cheese, mozzarella and taleggio. Topped it with chili pepper and hot sauce. 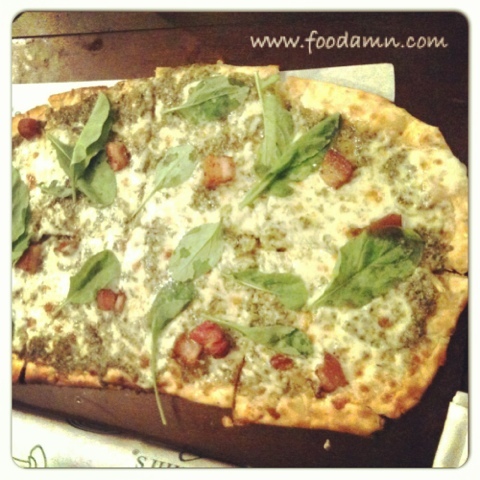 Another one was the Pesto pizza, cost almost the same and rocking in taste. Pasta of choice, I believe this was Alfredo fettuccine and I lost details of the dish. ;) All of the stuff are truly foodamn! 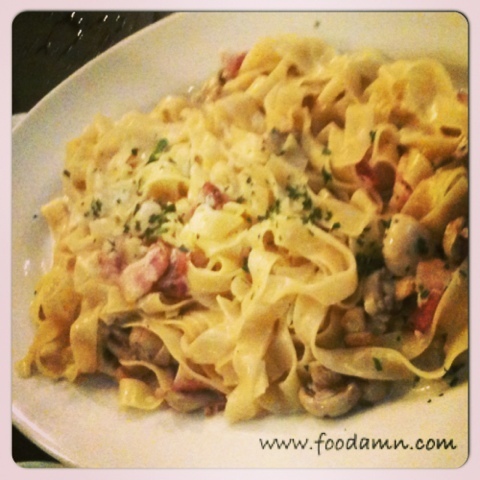 The kids loves white sauce pasta after running and roaming around the place. Two of the boys preferred rice (most of the time) we recommend the huge serving of Crispy Pork Ribs (PhP475) where the tender pork rib was marinated in Italian spices and deep fried. 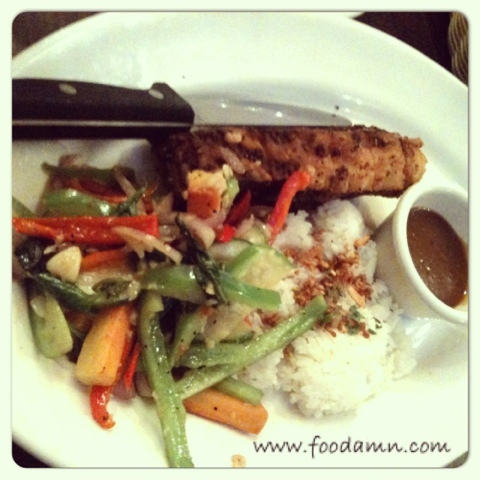 The rice dish is served with garlic rice, seasonal vegetables and pepper sauce. I haven't tasted it but the big boys said "naubos nila" (they finished the whole plate separately). Which could only mean two things, either it's really yummy or they were really hungry jackos they forgot to share some. Overall, we spent almost 5K including beverages and milk shakes. This budget is good for 5 heads with 2 kids.